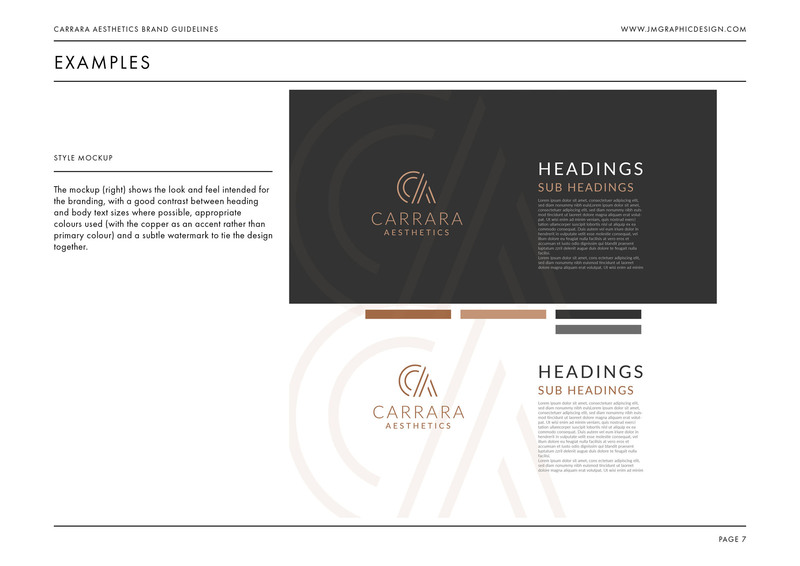 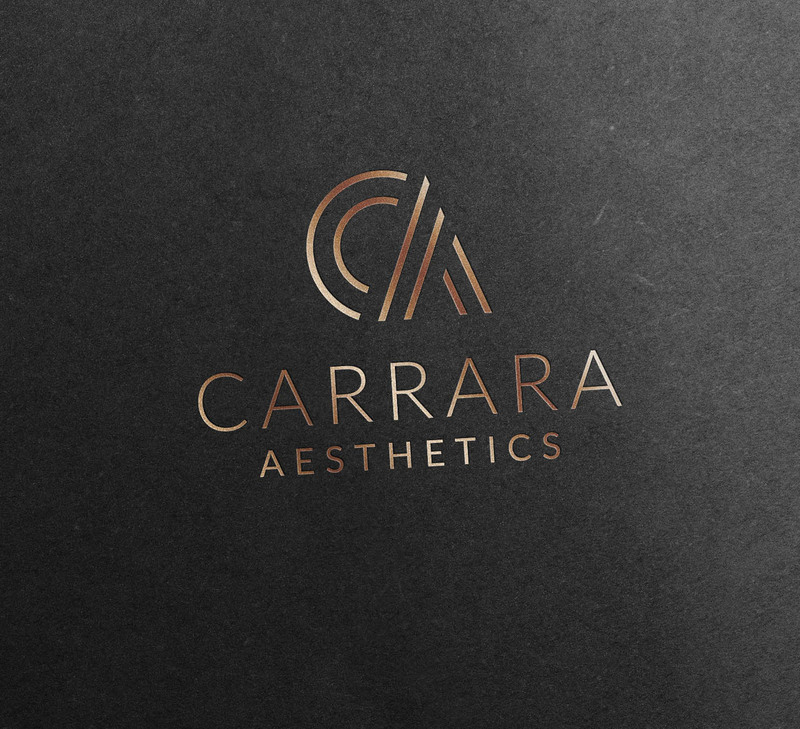 Carrara Aesthetics approached me to create a new brand identity that would embody their brand values and attract their ideal clientele. 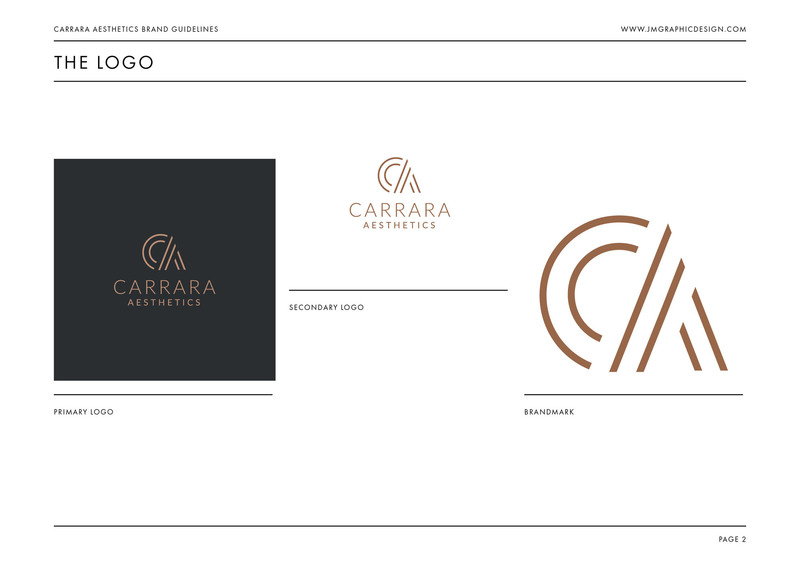 The logo itself needed to look trustworthy and professional – representing a well established business. 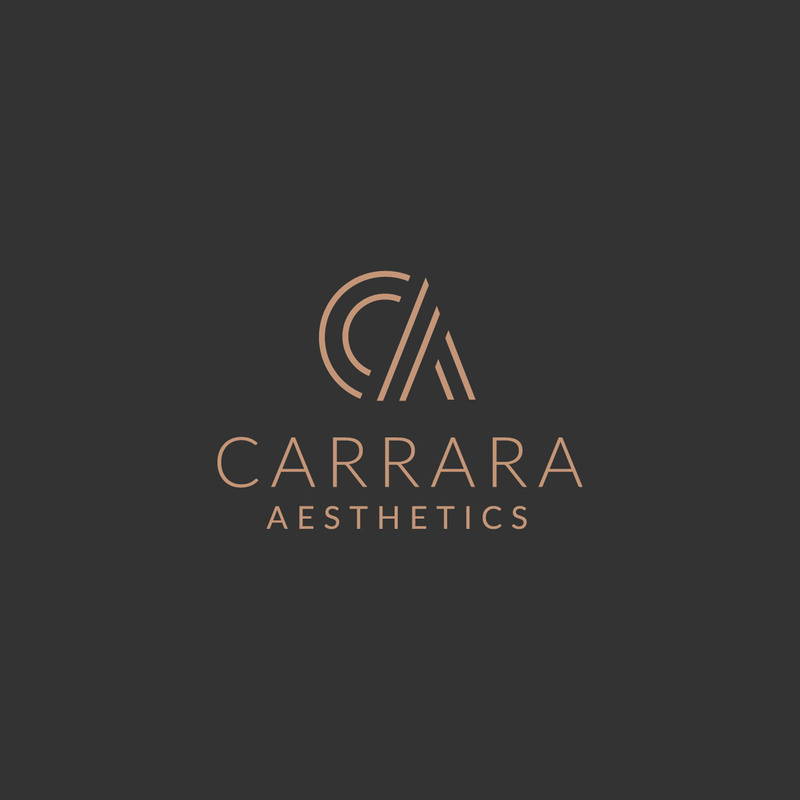 It also needed to reflect Carrara Aesthetic’s positioning as a high end clinic, offering a very high level of service and personal attention. 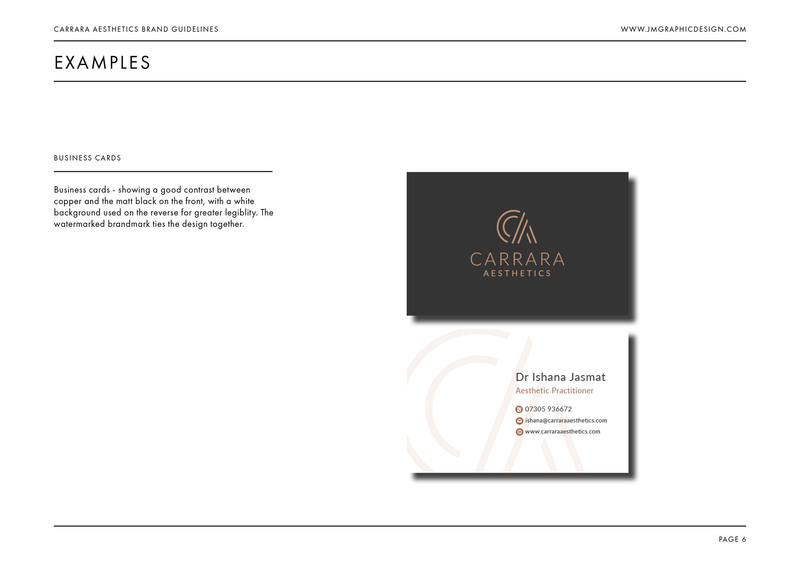 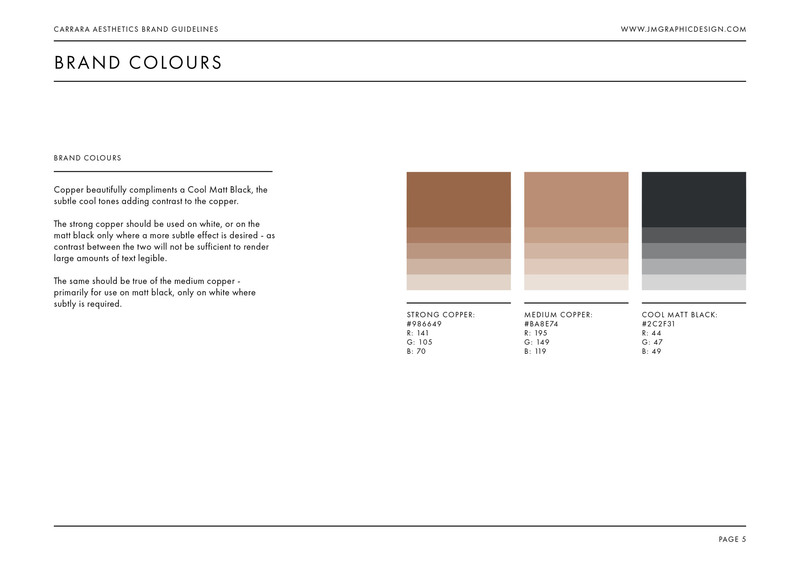 After exploring many potential solutions, we fell in love with the concept conveyed by the simple CA in stylised fashion. 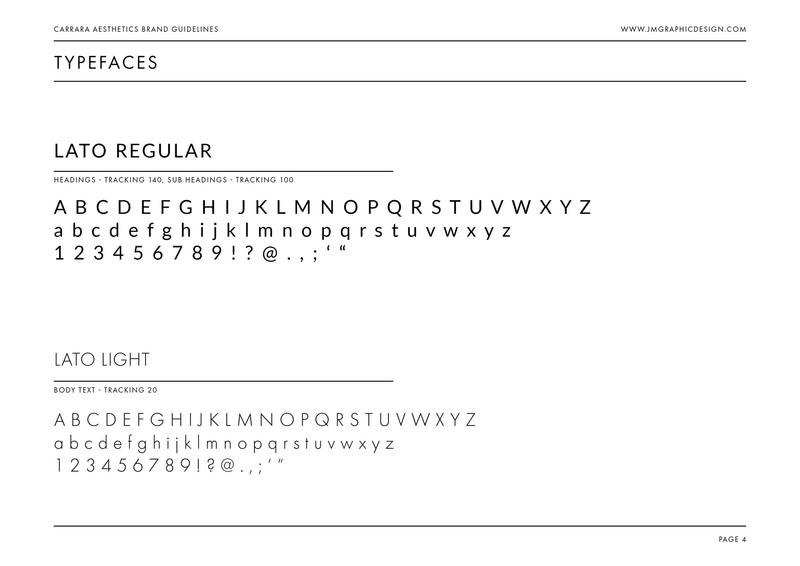 The lines convey a sense of shape, form and beauty in a simple, elegant fashion. 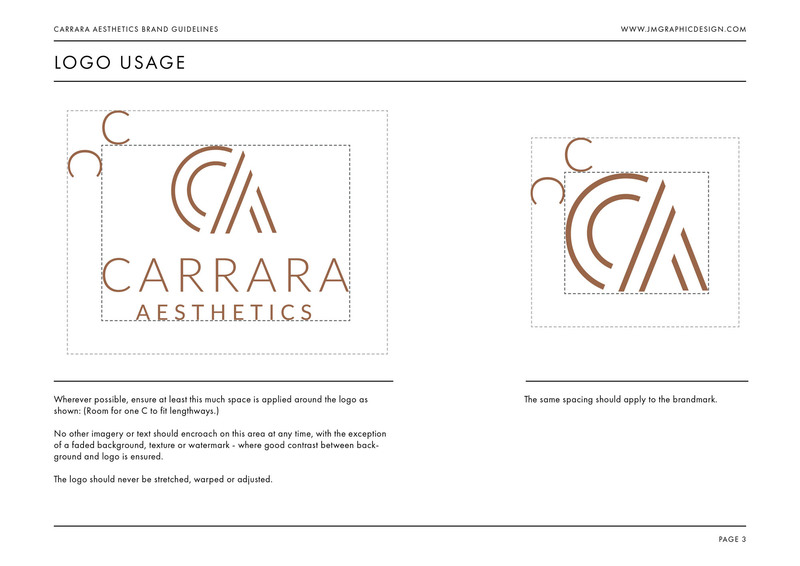 As many aesthetic treatments focus on altering or enhancing shape and form, we felt there was a strong underlining meaning to the symbol.